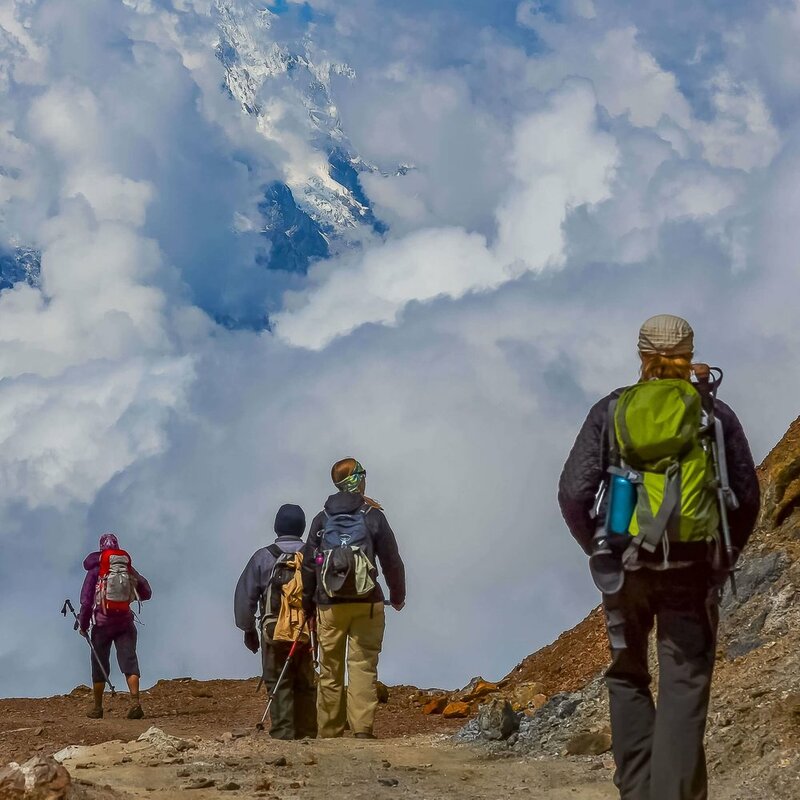 On the Choquequirao Huancacalle to Machu Picchu Hike you visit the great Choquequirao archaeological site, and be able to enjoy the spectacular views of snow-capped mountains, great valleys and incredible canyons. There are excellent opportunities to see condors flying nearby, and spot orchids in an everyday changing landscape! The Inca Emperors frequently selected stunning locations for their “royal residences.” Machu Picchu was the jewel that Inca Pachacutec built, but it was Topa Inca who built the magnificent Choquequirao on a mountain 61 miles west of Cusco. Choquequirao means Cradle of Gold. 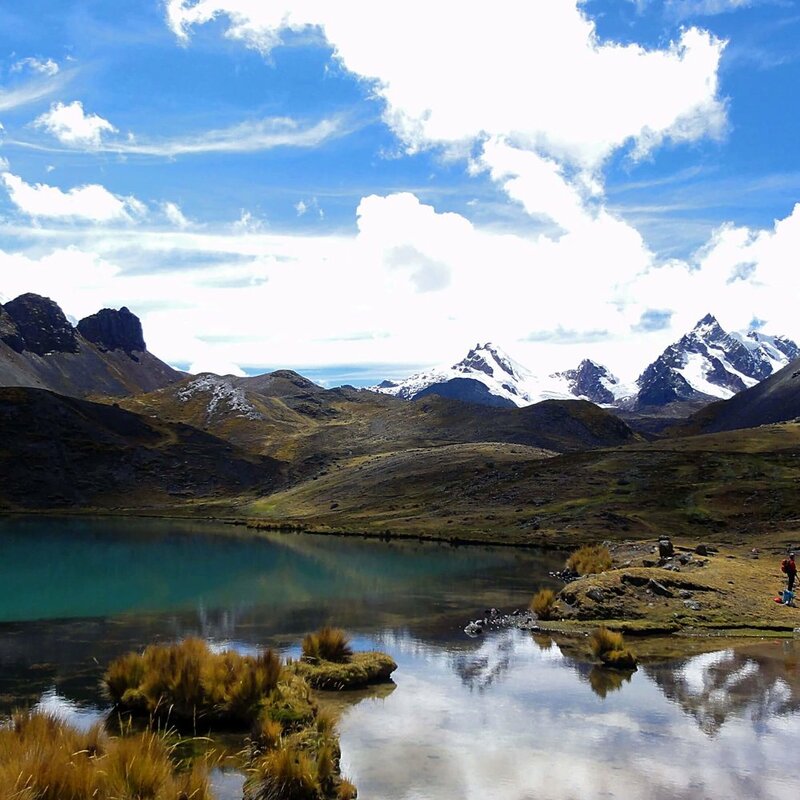 It is situated in a cloud forest, a dramatic 1,150 meters (3,772 feet) above the Apurimac River. On the 8th day of the Choquequirao trek to Machu Picchu you arrive at Aguas Calientes, the town at the base of Machu Picchu. 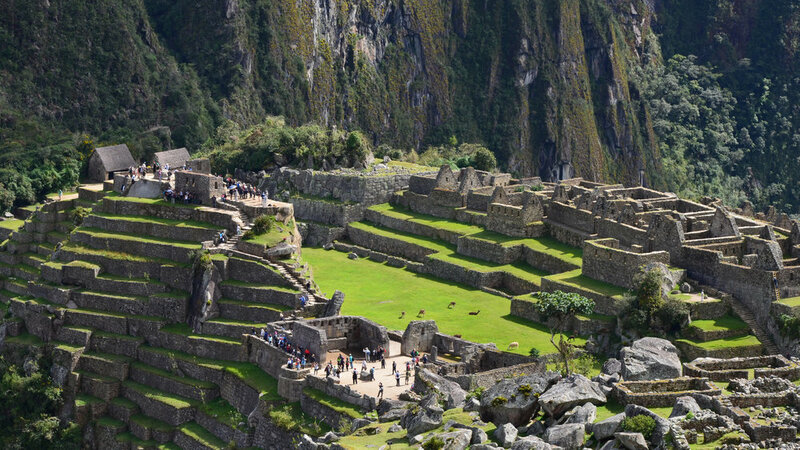 The trek is capped off by your visit to Machu Picchu the next day! We have an early start (before 7 AM) in order to avoid the heat while climbing up to Santa Rosa. There we meet a family who distils alcohol out of sugar canes. The trail then continues climbing to Maranpata, and along the way we get to see orchids and, if we are lucky, we can spot some condors, foxes and surely many species of birds. Our day begins at 7 AM, and you spend time exploring the amazing archaeological complex with the company of your guide. Your expert guide takes you to the most important sites in and around the main plaza of Choquequirao. Surrounded by groups of terraces, small sacerdotal houses, aqueducts and intricate architecture, it makes you wonder why this specific location was chosen to build such a wonder! The vegetation hides the rich fauna and flora full of orchids and birds of all sorts. The condor is also no stranger here, especially in the afternoons when they fly nearby before going back to their mountain nests. This morning you leave Choquequirao behind. Rapidly, you reach a pass not far from the site that allows us to enter the valley of Rio Blanco. The trail then penetrates a dense forest as you descend into the valley. Here, a recently discovered archaeological site, Pinchaunuyoc (7980’), is currently being restored. The view leads up the Marcana Mountain (16500’), a glacial summit that is an integral part of the Cordillera Vilcabamba. The descent lasts 2 hours at a soft pace until Rio Blanco (6340’). We stop for a picnic by the river. If you are lucky, you’ll see current-ducks plunging and cooling off in the fresh waters of the river. After lunch, you start the climb and reach the terrace 2 hours later. The view opens to the valley as you progress, finally reaching the cultivated fields that mark the arrival to the small hamlet of Maizal. (9920’). This is where you spend the night. 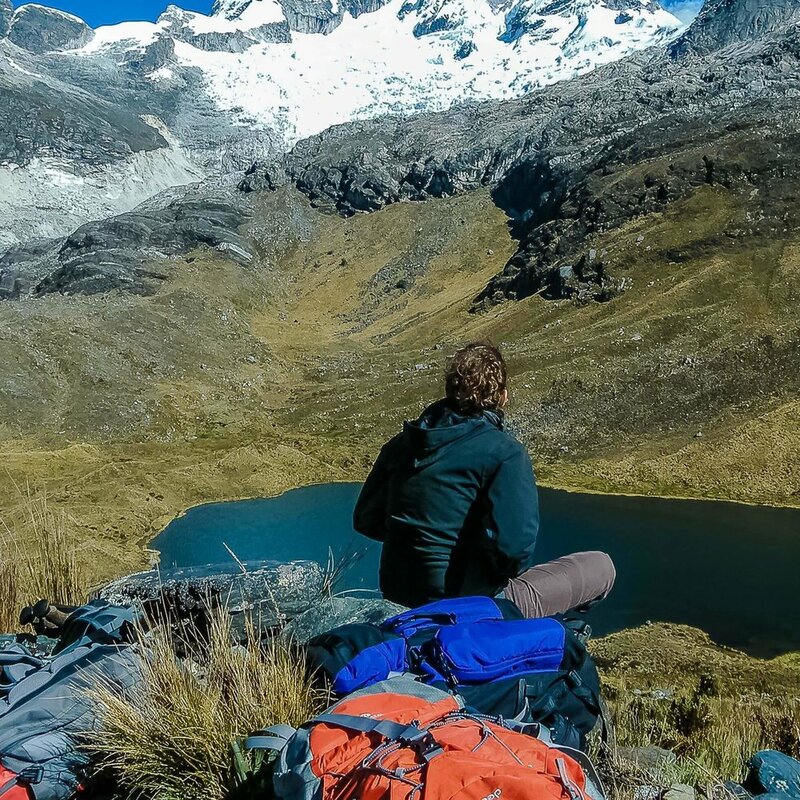 Our camp is set up with a beautiful view of the Cordillera Vilcabamba. A long day's hike takes you to an area where many condors fly over the valleys. Right after leaving Yanama you go along the river of the same name, and descend the valley for a few kilometers. You lose approximately 500m of altitude before starting the climb to enter a forest area that leads to a small first passage. We then follow the contour of the mountain where an easy hike awaits you in order to reach the bottom of the valley and the river, Oriyoc. Little by little the vegetation changes, becoming more scattered until becoming a pampa. Another change in the bio-climatic area takes us to a high plain with a stretch of the famous royal road of the Incas, the "Qapaq Ñan." The day is full of views of spectacular granitic rock formations before reaching the camp (12073’). The paved trail from the Inca period that we found at the end of the day yesterday leads us to Choquetacarpu Pass (15091’) where abandoned mines are located. In the ascent you hike by a patch of "queñuas," endemic trees in danger of disappearance. On the other side of the pass you descend into the valley of Collpa, still on the Qapaq Ñan. You pass small lakes where you have the chance to observe Huallatas (Andean wild geese), a common part of the landscape on the Puna. The path continues an easy hike downhill where you find more vegetation, warmer temperatures, and enclosures and crops. You arrive to Huancacalle where you sleep in a rustic hotel. Breakfast is served before 7 AM, and then you hike a short path to the archaeological site of Vitcos Rosas Pata. The site, seldom visited by tourists, is a legendary place in the region. Later, our vehicle leads us between coffee plantations and banana trees to Santa Teresa. We follow the sacred river, Urubamba, and arrive at Hidroelectrica where we continue by foot (or local train) to the village of Aguas Calientes, the town at the base of Machu Picchu. We then settle into our hotel for the night. Tonight we will enjoy a fine dinner in one of the top restaurants in Aguas Calientes.